Fall is an absolutely spectacular time to visit our Northern Colorado Mountains. Elk Watching is the main attraction. 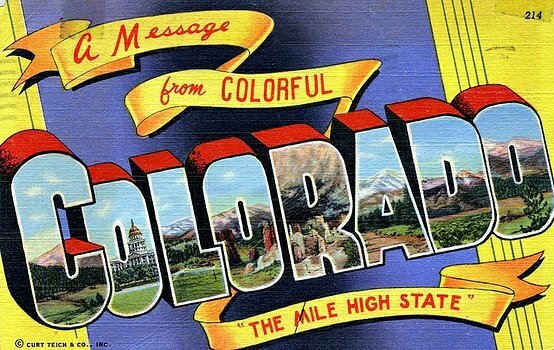 Join us for our latest adventure: Colorado Travel: Fall Trip to Estes Park and Rocky Mountain National Park. Let’s take a little trip to the hills. A week ago made our annual Fall trek to Estes Park. 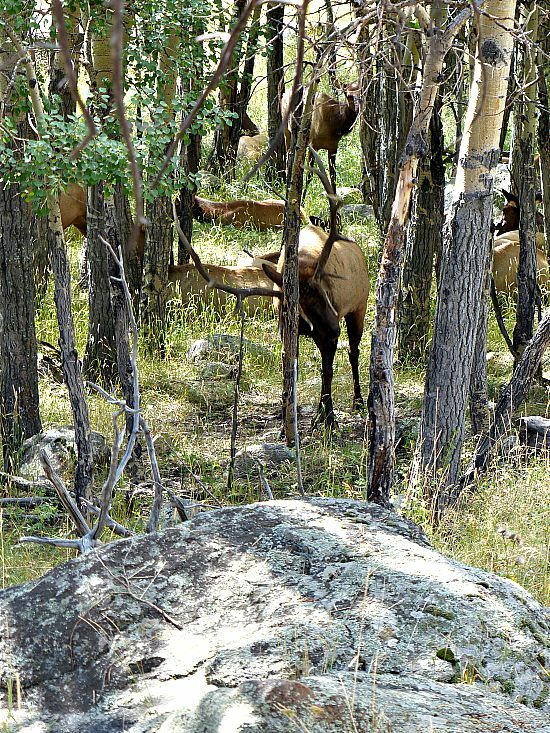 In between hiking, picnicking and sightseeing, I usually take about a hundred photos of elk. At this time of year, the elk migrate from high elevations to the meadows of our Rocky Mountains. The males with their harems gather and the rutting rituals begin. This year for about 15 minutes, I watched a male slowly and strategically sharpen his antlers…just in case a stray bachelor elk challenged his status with the herd of females. 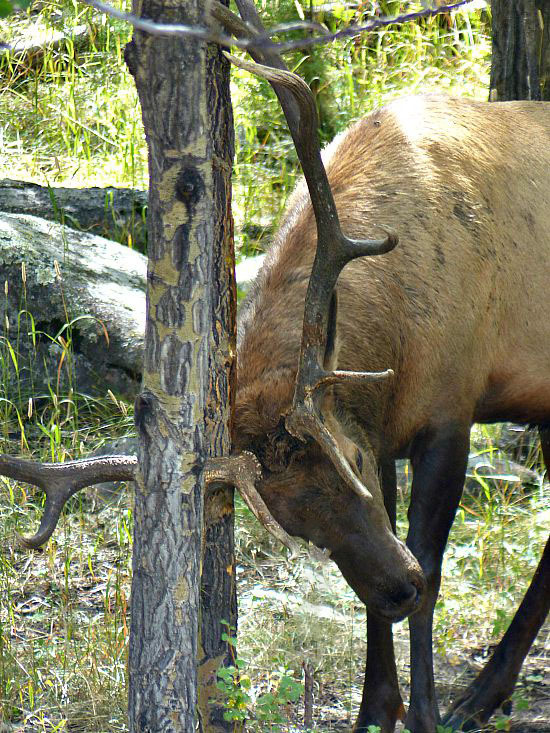 Upon closer observation, he slowly angled the antlers across the trunk of the tree, moving back and forth making sure to sharpen even the smallest point. 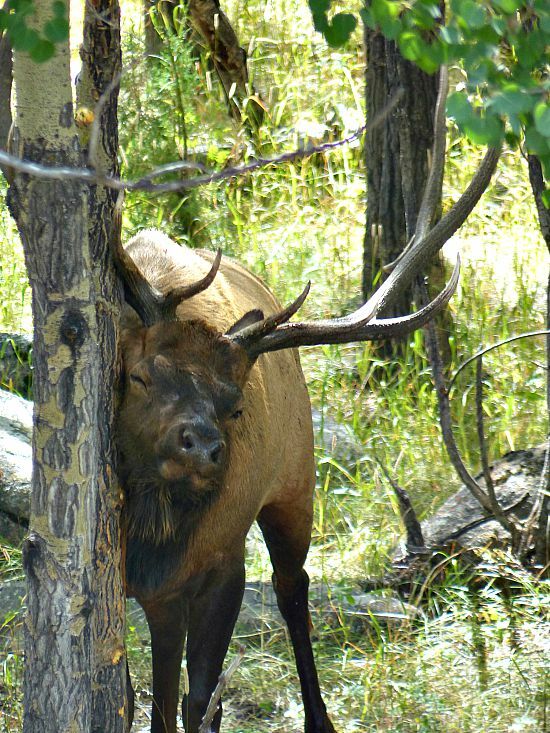 In between sharpening his antlers, he’d rub his neck on the trunk to leave his scent. Protecting his territory is serious business. 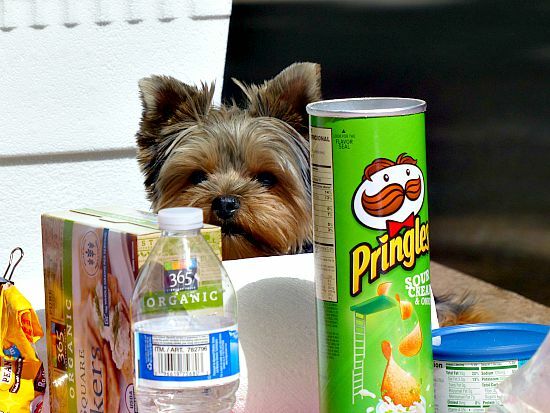 Picnics are always on the agenda. This is a photo of Remy settling in nicely in his new adventure. This is our favorite spot to picnic in Rocky Mountain National Park. Endovalley picnic area at the base of old Fall River Road. And a picnic is easy with our favorite Prosciutto Parmesan Arugula Sandwich. 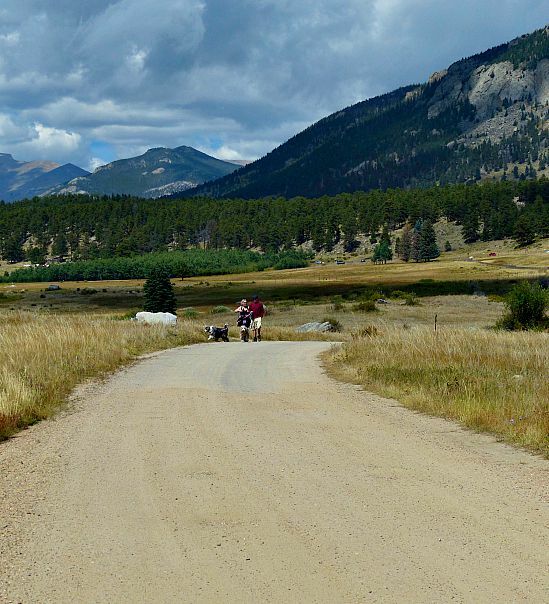 Traveling with dogs to Rocky Mountain National Park can be a challenge. For very good reasons, the hiking trails in Rocky Mountain National Park do not allow dogs. It can be a tedious search to find a place to take your dog on a good long walk. And what a better place to find dog friendly trails near Estes Park. One of our favorites is off Bear Creek Road. 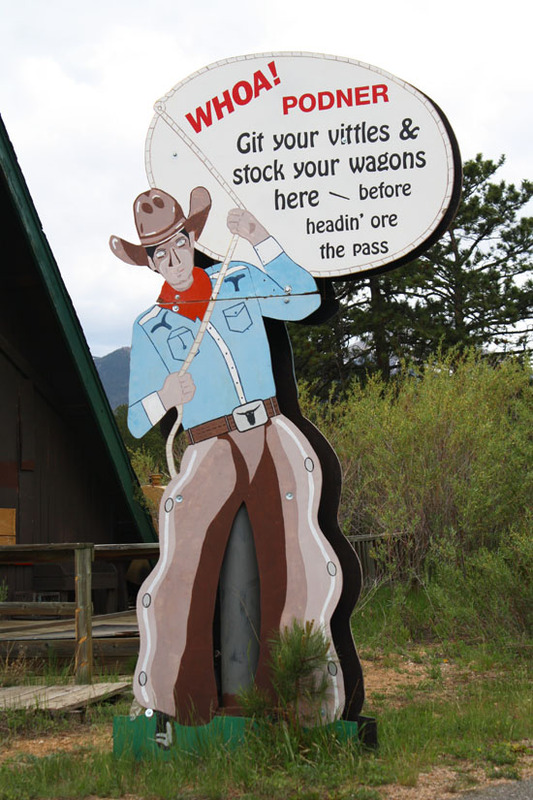 Just past the Moraine Park Museum you’ll find a pullout on the right. This is a popular spot for fly fishing. Find a spot in the parking lot and then cross the bridge over the river. Dogs are allowed on areas accessed by vehicles. This road leads to private cabins and through a wide open space valley with fabulous views. Even though that open space might tempt you to let your dog run — keep them leashed. And park rules clearly state on a leash no longer than 6 feet. There are lots of opportunistic Coyote packs lurking in this area, Mountain Lions and elk are very common in this grassy valley. Be watchful. 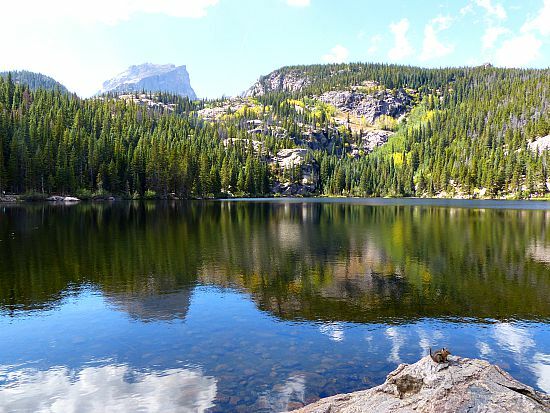 A side trip to Bear Lake is one of the high points of the Estes Park side of Rocky Mountain National Park. Very picturesque. It’s an easy hike around the lake, less than a mile. However since they don’t allow dogs on the trail, While Bob walked the dogs around the parking lot, I stayed at the trailhead and did a little bird watching and took advantage of the photo opportunities. We’ve always stayed at dog friendly Sunnyside Knoll Resort in Estes Park. Rocky Mountain National Park Hotels pretty much don’t exist. But this cabin complex is conveniently located between Estes and Rocky Mountain National Park. It’s right off Fall River Road, but in Cabin 18, you won’t hear any traffic noise at all. And so close to the park. Annual Trips have Annual Traditions. 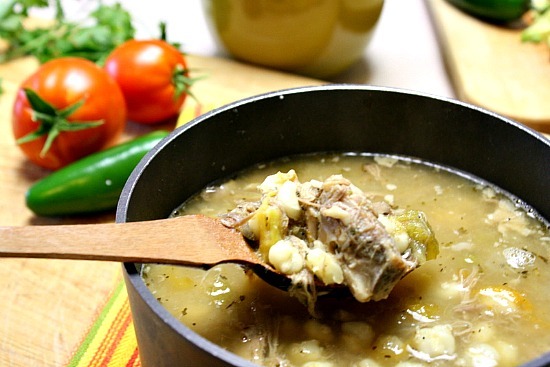 For our Fall trip to Estes Park, we always take a pot of my Pork Posole. 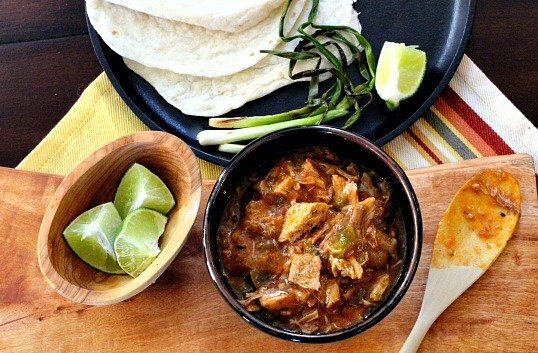 A Southwestern pork stew that is a perfect Fall meal. Just click on the title to see the recipe.